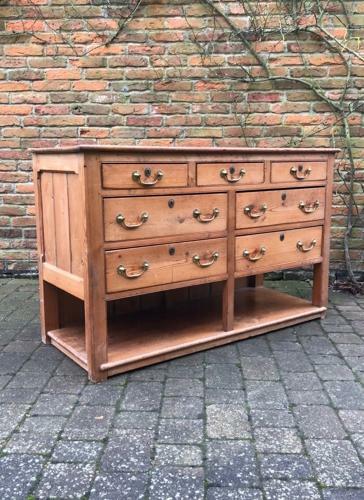 A most unusual Victorian Pine Base with seven handy drawers and a pot board shelf at the botom. Aged rich colour...no worm. Solid dovetailed drawers and boarded back.